Most projects, being either sequential or iterative (Agile), implicitly use some kind of risk-based approach for prioritizing testing activities. Critical testing decisions should be based on a thorough product risk assessment process with key business drivers as the foundation. PRISMA (PRoduct RISk MAnagement), a practical method for performing systematic product risk assessments is presented. During this 1 day practical course, it is explained how to carry out risk identification and analyzes, and how to use the outcome to select the most appropriate test approach to mitigate the risk. Learn how to apply risk-based testing in both traditional and Agile projects, including how to create an Agile sprint “test plan”. Practical experiences are shared, problems overcome and results observed employing product risk assessments. Learn how to set testing priorities and optimize your test effort by including product risk assessment in your testing practices. Develop a practical approach to inform project stakeholders about important testing decisions and provide clear visibility on product risk status. This course is intended for test leads, test managers, test consultants and (Agile) testers. Every tester is involved in defining test priorities! This course is typically also of interest to SCRUM masters, project managers and lead-developers. 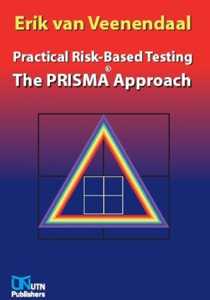 Attendees to the course (workshop) risk-based testing will receive a complimentary copy of the book “Practical Risk-Based Testing – The PRISMA Approach” written by Erik van Veenendaal. They will also be provided with a link for a free download of the risk-assessment tool.